♪♫♪ A Symphony of Flavors!!! ♪♫♪ | Two Guys In a Cucina! So this is not exactly what you think…. This is not a recipe… this is Two Guys in a Cucina asking for your HELP!!! No we don’t want money… all we want are suggestions as to what you listen to while cooking… we will also accept any songs you think will work well when cooking. 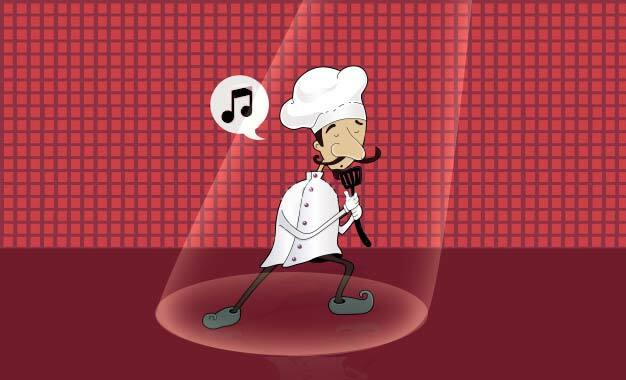 The lyrics do not have to be about food… the song just needs to inspire us to cook! We plan on making our very own “mix tape” (okay a little outdated… we mean playlist) to inspire us while we work our magic in the kitchen! So send us your suggestions through our Fanpage… on the site… directly to us… or however you like!!! Hey that sort of rhymed!!! John and I will vote on if we’re “feeling” your song and we’ll post our final playlist once we have enough songs! If you have more suggestions, feel free leaving us a comment below! Thanks!